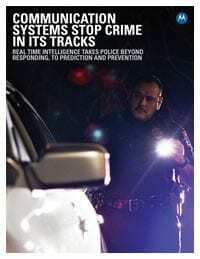 Mission critical intelligence gives law enforcement the power to access information, stream video and collaborate in real time. For decades, police departments have relied on two-way radio communications. Motorola two-way radios give police officers access to real-time information for better situational awareness and more informed decisions in the field and at command center. 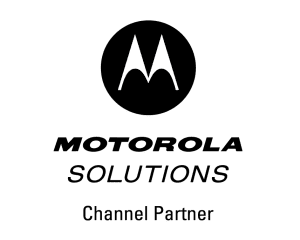 Motorola wireless solutions helps dispatchers and responders work safer and gives them the data they need to improve outcomes. Every time officers exit their vehicle, enter a building, knock on a door or engage with a citizen, they enter the unknown. Motorola two way radios and wireless communications solutions help keep officers connected and, in an emergency, can be their lifeline. With advanced technology for unparalleled voice communications, immersive data applications and robust security for devices and systems, Motorola’s wide selection of devices keeps police departments covered. Get the free download and learn more about how you can improve communications with Motorola two way radio communications solutions from Aerowave – your premier Motorola Two Way Radio Dealer for Dallas, Fort Worth, Waco and North Texas.